The Most Romantic Getaway Adventure in New Jersey! Surprise that special someone with an unusual getaway. Combine the adventure of a Hot Air Balloon flight with the romance of elegant dining, followed by a comfortable night in a charming country Bed and Breakfast. Sunrise flight, evening flight, dinner before or after - your choice. 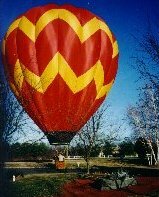 Hot air balloon rides flying 365 days/year weather permitting. Choose the EXPERIENCED PROFESSIONALS serving NJ, NY and PA. We're only about an hour plus drive from New York City & Philadelphia PA so join us when you visit. Enjoy your sunset or sunrise bird's eye view of beautiful picturesque hills, fields and historic homes. Flights make unforgettable romantic getaways. Read what our customers say about their flights in our Comments pages. Step back in time and enjoy Victorian splendor in a warm, friendly atmosphere located in the heart of historic and picturesque Clinton, NJ. Built in 1882, this Mansard style Victorian Inn is filled with quality Victorian era furnishings, family heirlooms, and exacting reproductions to create the mood of long ago. 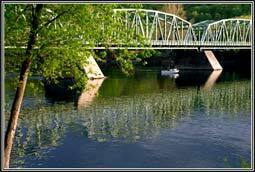 Take a short walk to the old mill, museum, shops, fine dining and casual dining on the river. 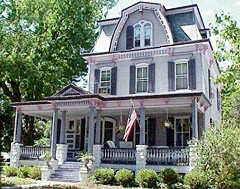 Also see Riverside Victorian Bed and Breakfast Web site. Perched high on the banks of the scenic Delaware River, Chestnut Hill and its companion all-suite, Country Cottage, are beautifully preserved, Victorian-era lodgings.Chestnut Hill, was built in 1860 by Wilson Thomas for his bride Lizzie. We have the privilege of being only the third family to live here.. Also see the Chestnut Hill Bed and Breakfast Web site. For Chestnut Hill only - if your stay is on a Fri., Sat. or Sun. night, a minimum 2-night stay applies. In historic Clinton, NJ. You will be staying in an Executive Room which boast microwave and refrigerators in the rooms, as well as comfortable seating areas, luxurious bathrobes and more spacious guest quarters.Our Atrium Style Restaurant is the perfect setting to enjoy your morning coffee and paper, with our signature bountiful breakfast buffet. (Breakfast is included with your stay at Holiday Inn, too). 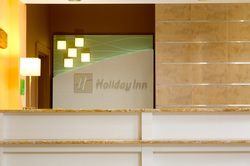 Also see the Holiday Inn - Clinton, NJ Web site. "We always like to make each anniversary a special one, and this 'tops' them all! A toast in the swimming pool was the perfect ending to a wonderful day." "Jacob proposed on this special day. It was romantic and awesome. The view was beautiful and our guide was fun and really nice. This is an experience we will both never forget. "With morning light the day begins, A BALLOON RIDE it early brings, A new Adventure waits for you, I hope you embrace it and say I DO!"... I will embrace what is to come. Thanks for making this unforgettable. "... one unforgettable romantic memory." "The views, the sunset, the deer passing thru the woods, the landing... so many memories to take away! This was my 30th Bday - what a way to see the world and welcome in the next ten years!" "Wow! What a great time. New York City looked like it was in the spotlight with the sun shining on it - and to also see Philadelphia was a bonus. I'd do it again in a heartbeat." "Today was certainly a day to remember. Lift off in the balloon exceeded all expectations. Floating in the air was so peaceful and surreal. I am definitely hooked and would love to do this everyday. It was like being in a dream, easy and carefree. Hanging in the air, all the stress of life didn't exist at all. That was a feeling I wish I could bottle and carry with me everyday. This was a wonderful experience and I would recommend that everyone try it just once - cause once you've been there you will always want to go back. "Life really doesn't get better than this - Thanks again! ​our ORA (Overnight Romantic Adventure) Drive Times page. Also see these related pages: Exclusive 2 Passenger Flight and Dinner Flight.